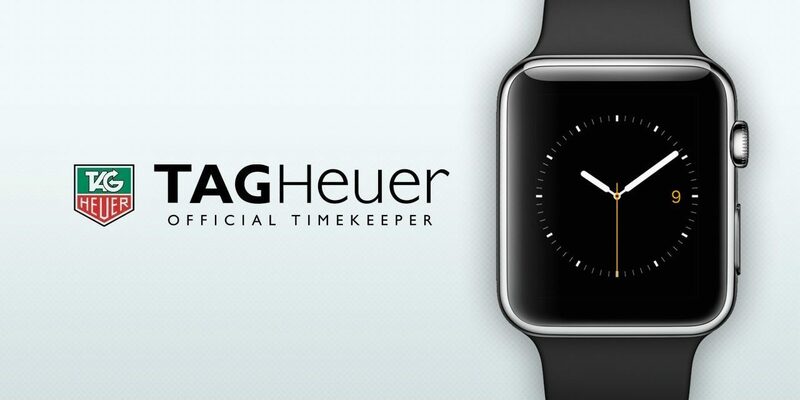 TAG Heuer are going to take on Apple? Following in the foot steps of Apple and LG and Samsung and every other technology company under the sun. It would appear there are plans for TAG Heuer to go head-to-head. French luxury group LVMH’s brand Tag Heuer has declared plans to create its own smart watch, just a few days after Apple’s big announcement. “We want to launch a smartwatch at TAG Heuer, but it must not copy the Apple Watch,” Tag Heuer’s head of watchmaking, Jean-Claude Biver, told local Swiss newspaper NZZ am Sonntag. Smart watches have become a threat to the Swiss watch industry, now that they can make calls, receive messages and monitor fitness. Tag Heuer lost Vice President of Global Sales and Retail, Patrick Pruniaux to Apple in July. Apple has been actively recruiting from other big companies to improve their retail business such as the former head of Burberry, Angela Ahrendts. That same month, Tag Heuer CEO, Stephane Linder told Tech Hive he wasn’t impressed with Samsung, Sony, Qualcomm and Pebble’s watch designs. “They look like cheap, plastic-designed watches. In the luxury category, we work on every detail for crafted value. When I see the smartwatch, it’s interesting, but in terms of design, it looks like a cheap wrist computer. There’s not one that makes a great connection.” I agree with the sentiment shown by Stephane Linder, and we all know with Jean-Claude Biver’s new position with LVMH, he will bring big changes. This is a given. Ouch. But it seems like Tag Heuer is singing a different tune now that there’s so much hype surrounding Apple’s smart watch. I can’t really see how smart watches are a true threat, to the Swiss watch giants. They appeal to the modern tech savvy generation that want one thing to do all things, not the best in each respective category. Funnily enough, Tag Heuer produced 50 limited edition Aquaracer AC72 models designed specifically for the World Cup sailing efforts of Oracle Team USA. Instead of moving hands, they used a simple monochrome display to report sailing metrics like wind direction and intensity. Linder is determined to keep the ‘luxury smart watch’ simple and stylish. “I don’t see us taking a big risk, unless we find a way to make luxury watches looking like real luxury watches that provide very easy-to-use, smart information that isn’t complicated—and don’t just replicate the mobile phone.” A hard task indeed. Post Scriptum – After the furore of the iPhone 6 and 6+ releases, alongside the Apple Watch news, a recent survey has stated that only about 11% of Apple customers are actually interested in the smart watch by Apple. This begs the question now, is it really a competitor to true watchmaking? You will have your own thoughts about this.